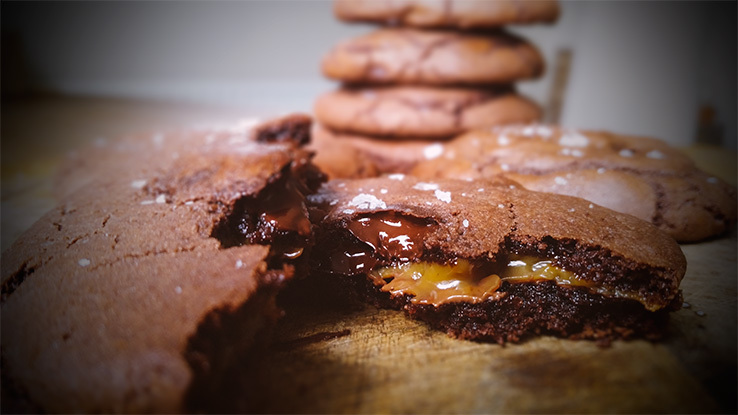 A gooey double chocolate cookie stuffed with Nutella and an oozy salted caramel sauce. 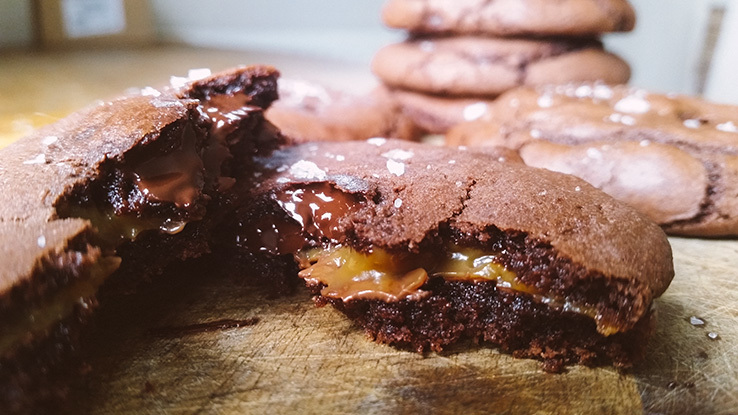 Oh my goodness…..I haven’t made anything quite so indulgent in a while and these are truly amazing. My husband is a massive fan of Nutella so this morning I started browsing Pinterest for Nutella recipes when I came across this one. And it’s so easy – I already had everything in the cupboard so I didn’t even need to make a trip to the supermarket. 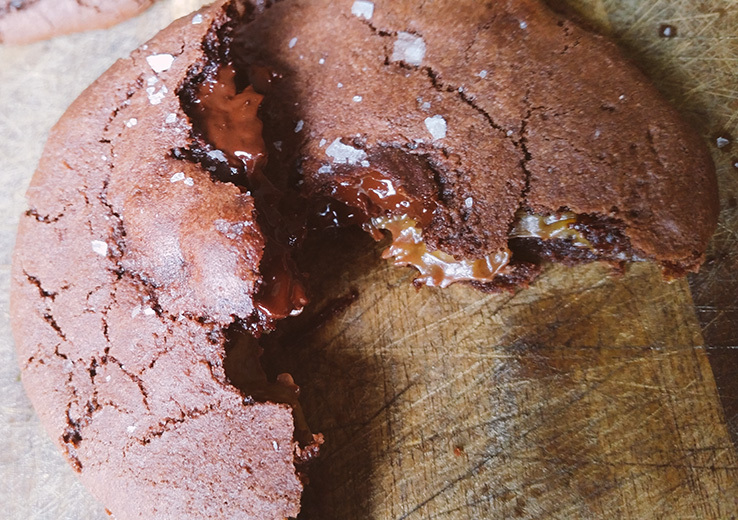 What could be better than a chocolatey, nutty, salted caramel oozing from a freshly baked double chocolate chip cookie? And made in no time at all…these would definitely impress any last minute guests you may have! This recipe is adapted from Top With Cinnamon. 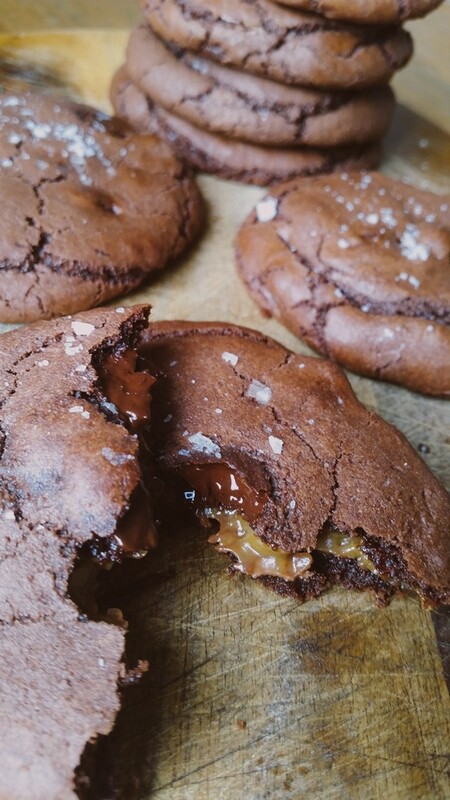 **I used a shop bought salted caramel spread, but you could also make the caramel using this recipe or you could even use a chocolate caramel like a roll or cadbury caramel piece if you wanted these to be even quicker and easier! Leave to cool slightly before transferring them to a wire rack to cool completely. Honestly – these are as good as they look and I’ve just managed to devour one and a half in the time it took to take the photos. I’m not sure how long these will last once my husband gets home! They look so good. 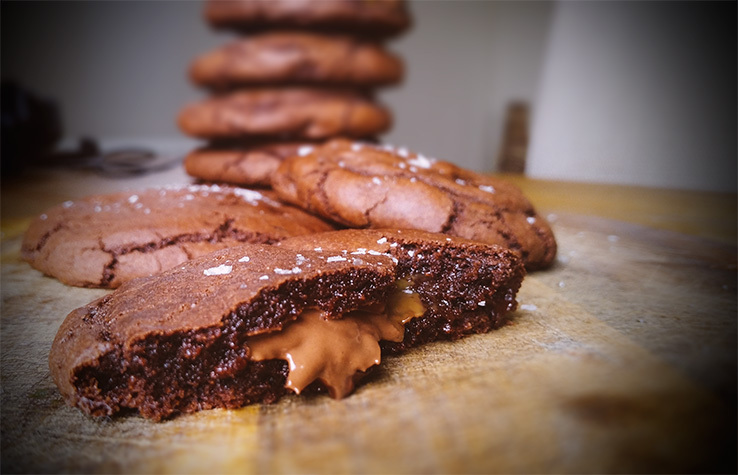 I am drooling over these cookie!